Direct Mail Services is proud to have served our East Tennessee partners for over 30 years and look forward to continuing those relationships as well as developing many more. Your consultation is FREE, so contact us today! 1992 – MOVIN’ ON UP! 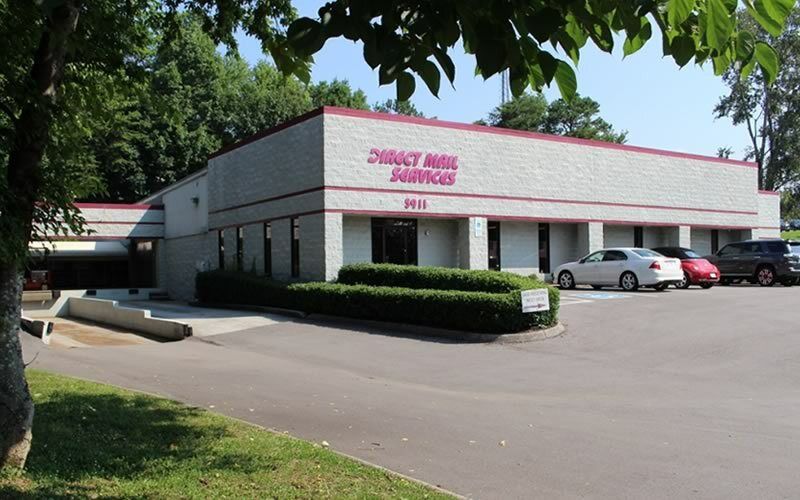 In 1992, Direct Mail Services relocated to a brand new building at 5911 Weisbrook Lane. The new facility offered room for growth along with convenience as we are located just up the hill from the main Knoxville Post Office. As we entered the 21st century, new technology was becoming available for the mailing industry which presented many opportunities and challenges. In 2005, we added 15,000 square feet of warehouse space to our building. We then took advantage of our extra space by expanding our capabilities and introducing polybagging capabilities to our services. Direct Mail Services is proud to serve the Knoxville area for over 25 years. We look forward to many more years of working with our fabulous clients and building relationships with new ones. If you are looking for solutions for your mailing or you are considering a mailing campaign, E-mail us or reach us through our Contact Page. Certified as Full Service Intelligent Mail Barcode (IMb) vendor. Direct Mail Services certified as Level 1 AND 2 receiver, processor, and protector of personal/private data by national credit bureau.